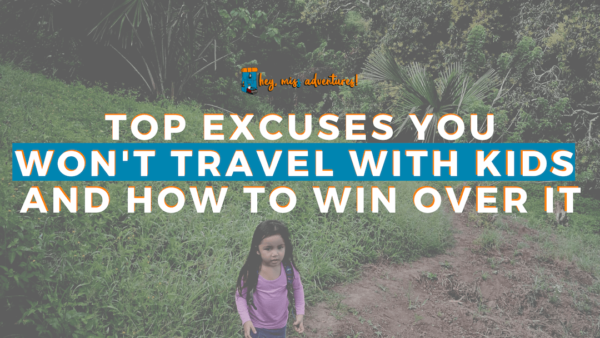 10 Excuses You Won't Travel with Kids - And How to Win Over It | Hey, Miss Adventures! Let’s face it. Traveling with kids, especially very young ones, can be tough. In fact, I always say it here on the blog: it’s not for the faint of heart. It certainly isn’t impossible but it requires a lot more effort compared to traveling solo or with adults. But, we do it anyway. 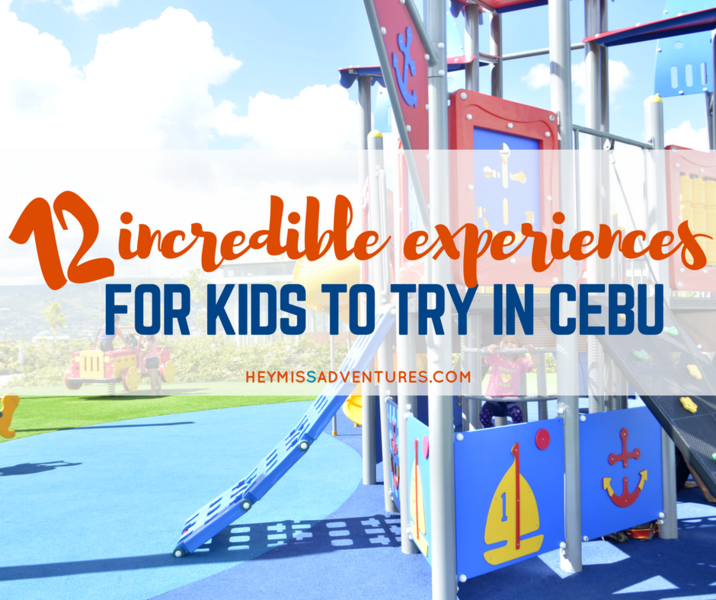 Because the benefits why you should bring the young ones to your adventures far outweighs the reasons why we shouldn’t go, and so we sometimes find ourselves booking flights and hotels, at the most unexpected moments. 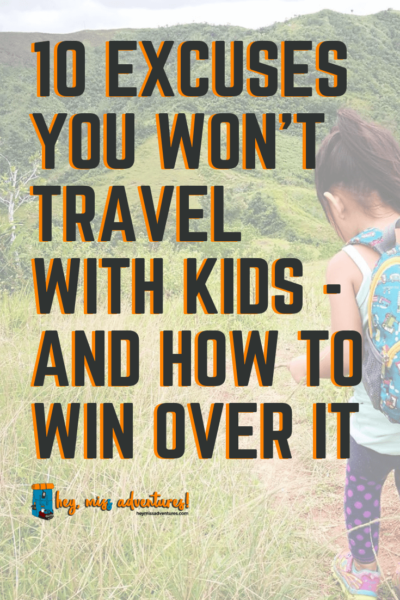 If you still couldn’t convince yourself to bring the little kids around, check out our reasons why we say no to travel with kids – and how we overcome them! I super agree to this. But guess what, it’s just as tiring to be left with your kids at home! What we did notice with both our kiddos is that they tend to behave better when we’re outside. It doesn’t even matter where we are, because the change in scenery and environment affects them in a certain way. One of the pros we’ve had so far? They sleep better on the road! Keep your itinerary simple and flexible. Don’t cram in too many activities in your schedule and definitely consider nap times! Always bring snacks and a few toys. 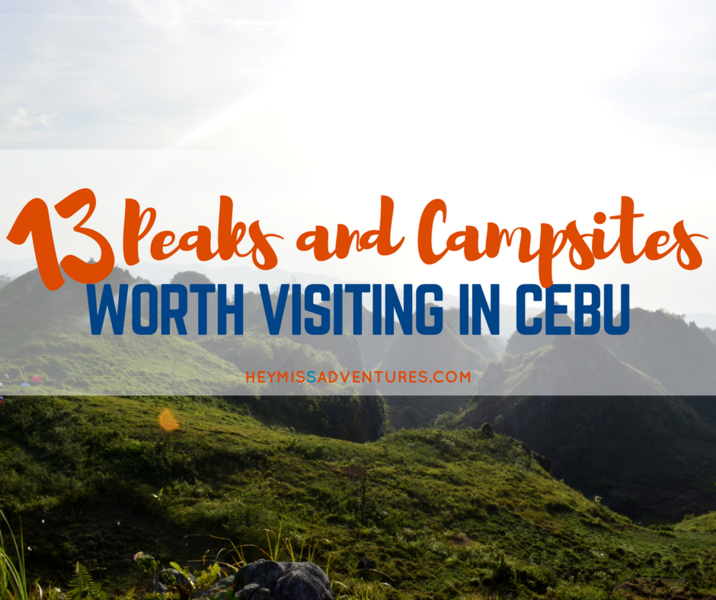 Although we find that just looking around is enough to pique their curiosity, bringing along a few small toys, especially when you’re cramped inside a car or an airplane for a few hours. And don’t forget the snacks (avoid the sugar though)! It helps keep everyone sane! Find good accommodations. Oftentimes, having a pool is our biggest consideration in choosing where to stay. And of course, we opt for those near certain attractions that we are eyeing for such as museums. Balance your travel. When we had our second kid, we noticed that we tend to be more of flashpackers this time around. That meant that we would choose comfort over everything else (of course, still within reasonable budget), because it helps everyone stay relaxed and well-rested. Even a lap child’s plane ticket can cost about half, or even just as much, as an adult’s plane ticket. But it isn’t always the case, really. 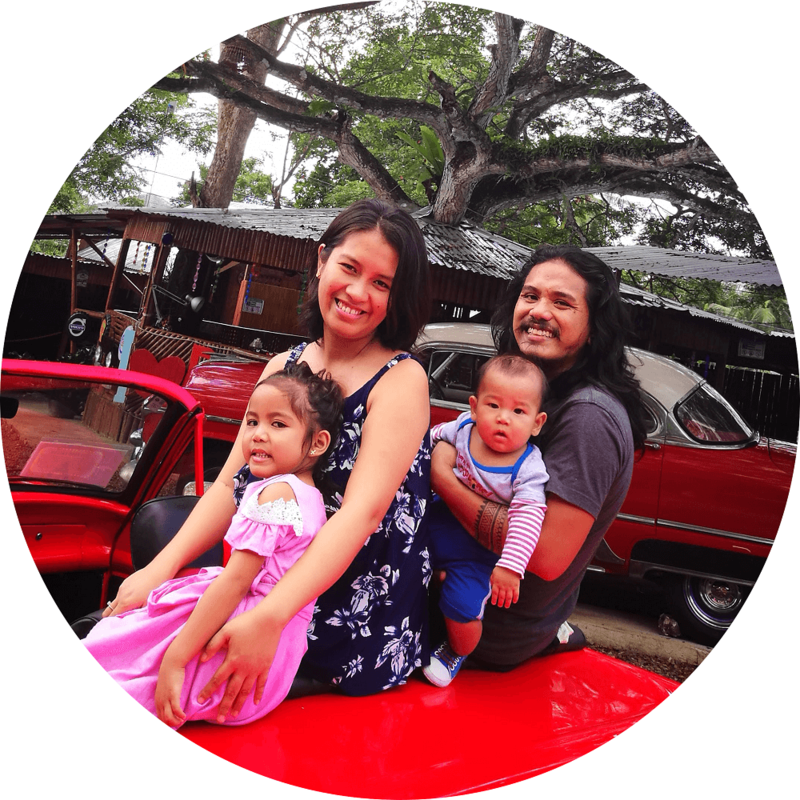 In the Philippines, for example, kids below three years (sometimes five, or seven) can ride free on certain types of transportation such as buses and jeepneys. In most cases, as long as you are able to have the kid sit on your lap, then they can ride for free. Another huge expense when it comes to traveling with kids is in the food category. What we do instead is go for Airbnbs and homestays because it allows us to cook and pack our lunch (or eat it first before we go out). It’s probably a different thing if you are working in an office and your kids are out in school. In our case, we’re mostly together 24/7. If you fall in the former category, then make travel the chance to bond with your kiddos. Remember, they won’t be young for too long and pretty soon, they won’t want to hang out, much less travel with you in a few years. If you are in the same situation as we are, you’ll most likely welcome the change of environment. It’s great for everyone’s mental, physical and emotional health! You’d be surprised how much kids can remember from their past experiences! 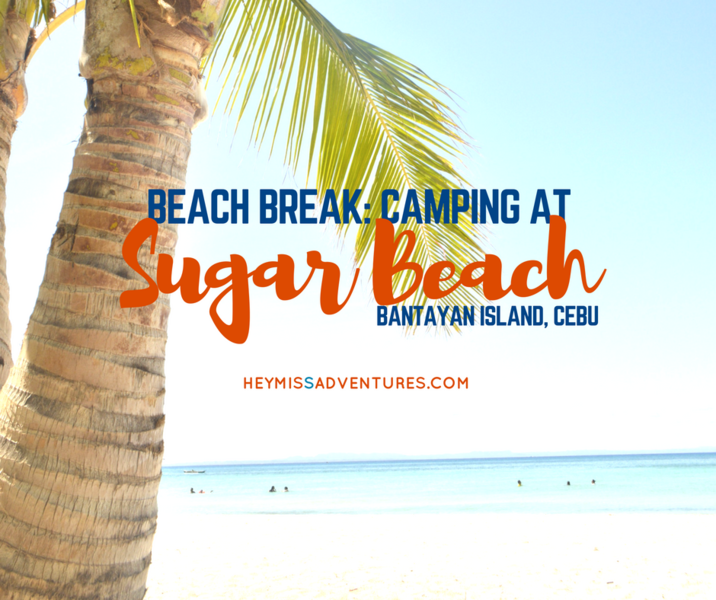 Once in a while, our daughter would recall moments when we went to the beach or to the mountain – and she just talks about it out of the blue. Another thing about traveling while the kids are still young is that they are the easiest types of people to bring along. While you do have to carry babies around most of the time, they mostly just sleep and eat and don’t fuss much. You’d probably worry about the kids having trouble keeping up with routines – ditch that! We don’t have much of a routine except for sleeping times at night, and eating time. Even then, we are still very flexible with the former. Kids are very flexible people so make sure you don’t keep them in extremely rigid schedules. You most likely will have to throw out your plans when you travel. This can be true, and once in a while, I find myself missing going out to concerts and other activities single people do. But because we are basically at home 24/7 with the kiddos, travel doesn’t make much of a difference to what we’re already used to. Instead, what we can advice is to take advantage of activities and amenities. Hotels and resorts have day care facilities and play areas, for when you decide to enjoy a massage or two. Or you can take turns with your significant other to look after the kids so the other can go and do their thing. If you really have to go out and bring the kid along, you can always get everyone used to babywearing. Ahh…this one can be a pretty tough excuse to go against, especially here in the Philippines. 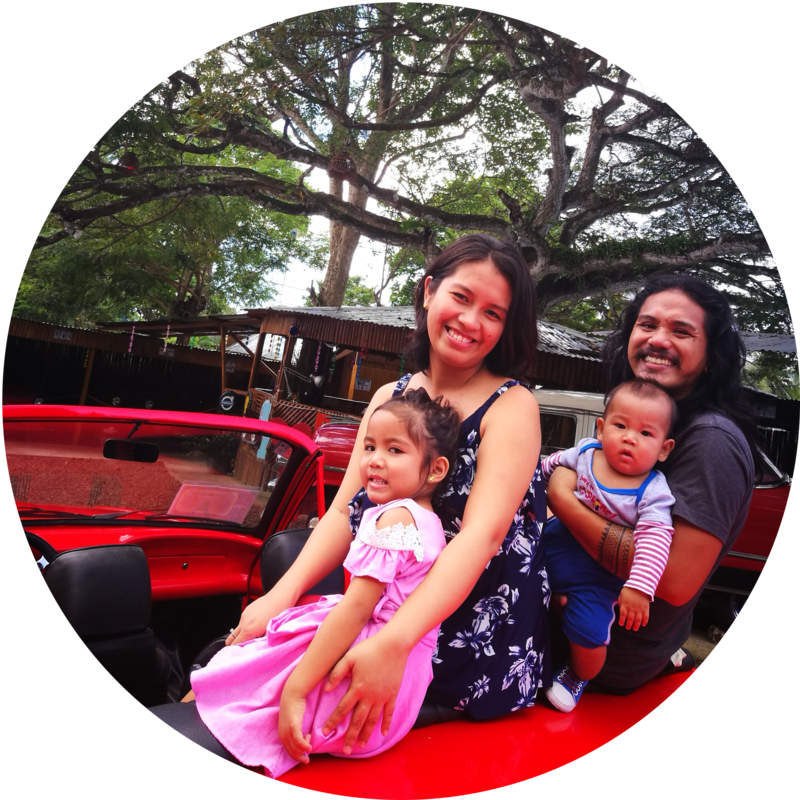 This is also the exact reason why we’ve decided to go the homeschooling route – because it provides us with the flexibility in our schedules and we also have the freedom to choose the type of learning we want. If your kids are in school, take advantage of long weekends, midterm and summer breaks, and holidays! There’s really no excuse not to go out and bring the kids to a trip because there’s plenty of time to do that, even when they’re in school. Admittedly, I’m a pack rat and I find it very difficult to choose which items to bring when you have limited amount of storage. Plan carefully. If you’re like us, you probably won’t have exact plans for where you’re headed. However, with kids around, swimsuits are a staple. In the Philippines, there’s no need to bring heavy winter clothes but we do pack light jackets for when we ride planes and buses. Those new types of thin, thermal wear (we have ours from Uniqlo) are also great alternatives! Let the kids bring their stuff. Our 5-year-old daughter can already be told to pack and she’s a pack rat just like me. We do rummage through her backpack and keep the toys to a minimum: 1-2 pieces plus a small book or two. They don’t really get used much and it ends up being my burden. We also adjust depending on how we travel. For example, if we travel with the grandparents, it’s most likely by car, so we are able to bring a little bit more along. Also to add: breastfeeding is a total game changer because now I just have to bring along my boobies (hahaha!) and we’re all set. With our daughter, I had to bring 2-3 bottles, some formula and a bottle cleaning set. And while we do cloth diaper at home right now, we find it much better to settle for disposables on the road because we it’s just easier and more convenient for everyone. 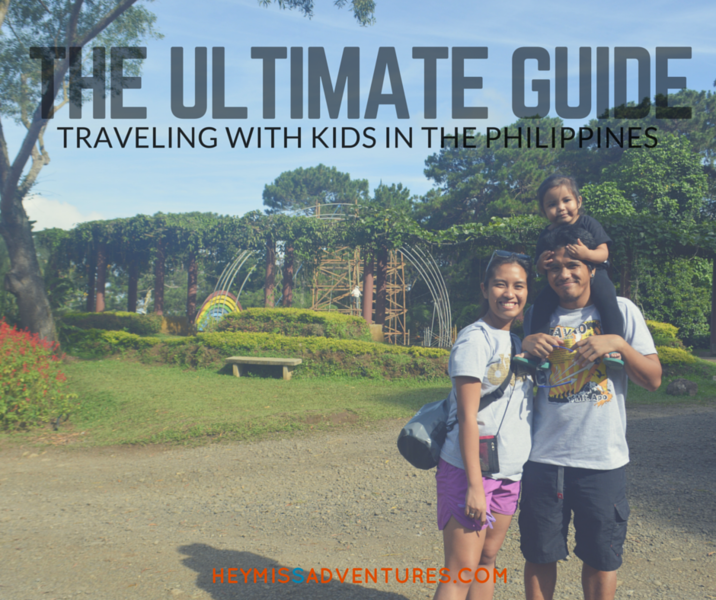 You don’t have to have everything just to get started traveling with your kids. If you do decide to go climbing and camping but don’t have the right gears, you can always ask friends and family if they have equipment to lend you. Also keep an eye for sales and promos from your favorite outdoor shop, or go bargain hunting in thrift shops instead. Don’t go spending your money on extremely expensive gears when you’re only going to use it once or twice. Try things out first and see if the activity is a fit for the entire family, and if you feel like it’s something all of you will enjoy for a long time, then go ahead and invest in the right gear. Everywhere is a scary place. I get goosebumps when I read the news and scroll through my Facebook feeds at home. But for some reason, I forget all of that when we’re on the road. Even better, we’ve had our own fair share of beautiful stories on the road where we met people who graciously offered us their house for FREE, or where they simply offered their time, company or resources (food and Internet)! Well guess what, that perfect time will never come. If you do that, you’ll probably end up still waiting at 80 years old and even then, your perfect time will still not come. 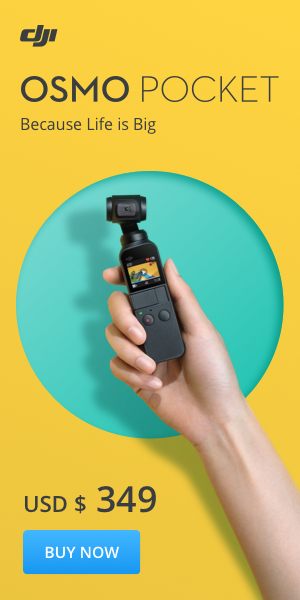 Start planning your travels now while you still have the energy to look after the kids – and make sure to document them! You might not have as much money now but if you plan carefully, you will have more than enough to make everyone happy. And you probably will just give up a thing or two because you realize that they are just not worth spending on. Your kids might not remember every single detail of your trip but they’ll certainly remember that they had the best time of their life with their mom and dad.